Arbor Hill was in need of a Brand Extension to market the Grapery’s gourmet food products to local food department stores. 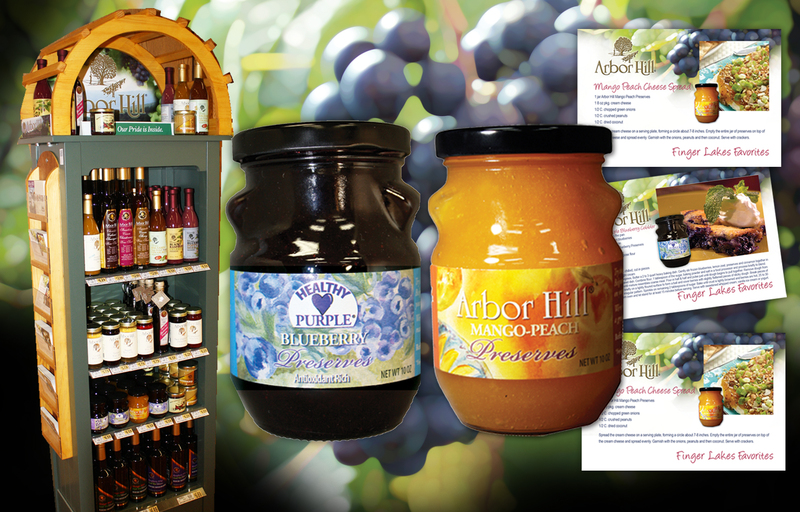 In this project, I partnered with the family business to create Arbor Hill packaging and recipe cards that would fit into a custom end-cap display. The display landed in Wegmans and has since helped the Grapery increase product sales and grow greater brand recognition for its products both in the greater market and in its own retail shop.